"Laurels" redirects here. For the greyhound race, see Laurels (greyhounds). For the Irish greyhound race, see Laurels (Irish greyhounds). Laurus nobilis is an aromatic evergreen tree or large shrub with green, glabrous (smooth and hairless) leaves, in the flowering plant family Lauraceae. It is native to the Mediterranean region and is used as bay leaf for seasoning in cooking. Its common names include bay tree (esp. United Kingdom),:84 bay laurel, sweet bay, true laurel, Grecian laurel, or simply laurel. Laurus nobilis figures prominently in classical Greco-Roman culture. The Laurel is an evergreen shrub or small tree, variable in size and sometimes reaching 7–18 m (23–59 ft) tall. The genus Laurus includes four accepted species, whose diagnostic key characters often overlap. The Bay Laurel is dioecious (unisexual), with male and female flowers on separate plants. Each flower is pale yellow-green, about 1 cm (0.39 in) diameter, and they are borne in pairs beside a leaf. The leaves are glabrous, 6–12 cm (2.4–4.7 in) long and 2–4 cm (0.79–1.57 in) broad, with an entire (untoothed) margin. On some leaves the margin undulates. The fruit is a small, shiny black berry-like drupe about 1 cm (0.39 in) long that contains one seed. Laurus nobilis is a widespread relic of the laurel forests that originally covered much of the Mediterranean Basin when the climate of the region was more humid. With the drying of the Mediterranean during the Pliocene era, the laurel forests gradually retreated, and were replaced by the more drought-tolerant sclerophyll plant communities familiar today. Most of the last remaining laurel forests around the Mediterranean are believed to have disappeared approximately ten thousand years ago, although some remnants still persist in the mountains of southern Turkey, northern Syria, southern Spain, north-central Portugal, northern Morocco, the Canary Islands and in Madeira. The plant is the source of several popular herbs and one spice used in a wide variety of recipes, particularly among Mediterranean cuisines. Most commonly, the aromatic leaves are added whole to Italian pasta sauces. They are typically removed from dishes before serving, unless used as a simple garnish. Whole bay leaves have a long shelf life of about one year, under normal temperature and humidity. Whole bay leaves are used almost exclusively as flavor agents during the food preparation stage. Laurus nobilis is widely cultivated as an ornamental plant in regions with Mediterranean or oceanic climates, and as a house plant or greenhouse plant in colder regions. It is used in topiary to create single erect stems with ball-shaped, box-shaped or twisted crowns; also for low hedges. However it is slow-growing and may take several years to reach the desired height. Together with a gold form, L. nobilis 'Aurea' and a willow-leaved form L. nobilis f. angustifolia it has gained the Royal Horticultural Society's Award of Garden Merit. In herbal medicine, aqueous extracts of bay laurel have been used as an astringent and salve for open wounds. It is also used in massage therapy and aromatherapy. A traditional folk remedy for rashes caused by poison ivy, poison oak, and stinging nettle is a poultice soaked in boiled bay leaves. The Roman naturalist Pliny the Elder listed a variety of conditions which laurel oil was supposed to treat: paralysis, spasms, sciatica, bruises, headaches, catarrhs, ear infections, and rheumatism. In Ancient Greece, the plant was called daphne, after the mythic mountain nymph of the same name. In the myth of Apollo and Daphne, the god Apollo fell in love with Daphne, a priestess of Gaia (Mother Earth), and when he tried to seduce her she pled for help to Gaia, who transported her to Crete. In Daphne's place Gaia left a laurel tree, which Apollo fashioned wreaths out of to console himself. Other versions of the myth, including that of the Roman poet Ovid, state that Daphne was transformed directly into a laurel tree. Bay laurel was used to fashion the laurel wreath of ancient Greece, a symbol of highest status. A wreath of bay laurels was given as the prize at the Pythian Games because the games were in honor of Apollo, and the laurel was one of his symbols. According to the poet Lucian, the priestess of Apollo known as the Pythia reputedly chewed laurel leaves from a sacred tree growing inside the temple to induce the enthusiasmos (trance) from which she uttered the oracular prophecies which she was famous for. Some accounts starting in the fourth century BC describe her as shaking a laurel branch while delivering her prophecies. Those who received promising omens from the Pythia were crowned with laurel wreaths as a symbol of Apollo's favor. The symbolism carried over to Roman culture, which held the laurel as a symbol of victory. It was also associated with immortality, with ritual purification, prosperity and health. It is also the source of the words baccalaureate and poet laureate, as well as the expressions "assume the laurel" and "resting on one's laurels". Pliny the Elder stated that the Laurel was not permitted for "profane" uses - lighting it on fire at altars "for the propitiation of divinities" was strictly forbidden, because "...it is very evident that the laurel protests against such usage by crackling as it does in the fire, thus, in a manner, giving expression to its abhorrence of such treatment." Laurel was closely associated with the Roman Emperors, beginning with Augustus. Two Laurel trees flanked the entrance to Augustus' house on the Palatine Hill in Rome, which itself was connected to the Temple of Apollo Palatinus which Augustus had built. Thus the laurels had the dual purpose of advertising Augustus' victory in the Civil Wars and his close association with Apollo. Suetonius relates the story of Augustus' wife, and Rome's first Empress, Livia, who planted a sprig of laurel on the grounds of her villa at Prima Porta after an eagle dropped a hen with the sprig clutched in its' beak onto her lap. The sprig grew into a full-size tree which fostered an entire grove of laurel trees, which were in turn added to by subsequent Emperors when they celebrated a triumph. The Emperors in the Julio-Claudian dynasty all sourced their Laurel wreaths from the original tree planted by Livia. It was taken as an omen of the impending end of the Julio-Claudian dynasty that in the reign of Nero the entire grove died, shortly before he was assassinated. Rome's second Emperor Tiberius wore wreaths of laurel whenever there was stormy weather because it was widely believed that Laurel trees were immune to lightning strikes, affording protection to those who brandished it. One reason for this belief is because laurel does not burn easily and crackles loudly when on fire. It led ancient Romans to believe the plant was inhabited by a "heavenly fire demon", and was therefore "immune" from outer threats like fire or lightning. In modern Italy laurel wreaths are worn as a crown by graduating school students. 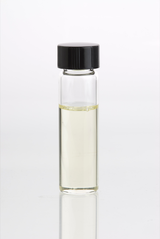 The most abundant component found in laurel essential oil is 1,8-cineole, also called eucalyptol. The leaves contain about 1.3% essential oils (ol. lauri folii), consisting of 45% eucalyptol, 12% other terpenes, 8-12% terpinyl acetate, 3–4% sesquiterpenes, 3% methyleugenol, and other α- and β-pinenes, phellandrene, linalool, geraniol, and terpineol. It contains lauric acid also. Both essential and fatty oils are present in the fruit. The fruit is pressed and water-extracted to obtain these products. The fruit contains up to 30% fatty oils and about 1% essential oils (terpenes, sesquiterpenes, alcohols, and ketones). The chemical compound lauroside B has been isolated from Laurus nobilis. ^ a b c Stace, C. A. (2010). New Flora of the British Isles (Third ed.). Cambridge, U.K.: Cambridge University Press. ISBN 9780521707725. ^ Brown, R.W. (1956). Composition of scientific words: A manual of methods and a lexicon of materials for the practice of logotechnics. Washington, D.C.: Smithsonian Institution Press. ^ "The Plant List:Laurus". Royal Botanic Gardens, Kew and Missouri Botanic Garden. Retrieved 20 March 2017. ^ a b c d Vaughan, John Griffith; Geissler, Catherine (2009). The New Oxford Book of Food Plants. Oxford: Oxford University Press. p. 150. ISBN 978-0-19-954946-7. Retrieved 2010-12-31. ^ Konstantinidou, E.; Takos, I.; Merou, T. (2008). "Desiccation and storage behavior of bay laurel (Laurus nobilis L.) seeds". European Journal of Forest Research. 127 (2): 125–131. doi:10.1007/s10342-007-0189-z. ^ Arroyo–García, R.; Martínez–Zapater, J. M..; Fernández Prieto, J. A. & Álvarez–Arbesú, R. (2001). "AFLP evaluation of genetic similarity among laurel populations (Laurus L.)". Euphytica. 122: 155–164. doi:10.1023/A:1012654514381. ^ a b c d Green, Aliza (2006). Field Guide to Herbs & Spices. Philadelphia: Quirk Books. ISBN 978-1-59474-082-4. Retrieved 2010-12-31. ^ Brickell, Christopher, ed. (2008). The Royal Horticultural Society A-Z Encyclopedia of Garden Plants. United Kingdom: Dorling Kindersley. p. 614. ISBN 9781405332965. ^ "RHS Plant Selector – Laurus nobilis 'Aurea'". Royal Horticultural Society. Retrieved 21 May 2013. ^ "RHS Plantfinder - Laurus nobilis f. angustifolia". Retrieved 19 March 2018. ^ "RHS Plant Selector – Laurus nobilis". Royal Horticultural Society. Retrieved 20 May 2013. ^ Nayak, S; Nalabothu, P; Sandiford, S; Bhogadi, V; Adogwa, A (2006). "Evaluation of wound healing activity of Allamanda cathartica. L. and Laurus nobilis. L. extracts on rats". BMC Complementary and Alternative Medicine. 6: 12. doi:10.1186/1472-6882-6-12. PMC 1456996. PMID 16597335. .
^ Encyclopedia of Herbs. "Bay Laurel: Laurus nobilis". AllNatural.net. Archived from the original on 19 November 2010. Retrieved 2010-12-31. ^ Wood, Jamie; Steinke, Lisa (2010). The Faerie's Guide to Green Magick from the Garden. New York: Random House. p. 43. ISBN 978-1-58761-354-8. Retrieved 2010-12-31. ^ Pliny the Elder. Natural History. p. XXIII.43. ^ Robert Graves (1955). The Greek Myths: Part 1. Penguin Books. p. 21.k-21.L. ^ "The Metamorphoses". Archived from the original on April 19, 2005. Retrieved 2017-11-17. CS1 maint: BOT: original-url status unknown (link) Translation by A. S. Kline, 2000. ^ Scott, Michael (2014). Delphi. Princeton University Press. p. 20. ^ J.O. Swahn (1991). The Lore of Spices. Random House. p. 40. ^ De Cleene, Marcel; Lejeune, Marie Claire (2003). Compendium of symbolic and ritual plants in Europe, Volume 1. Man & Culture. p. 129. OCLC 482791069. ^ Pliny the Elder. Natural History Book XV.39. ^ a b Annette Giesecke (2014). The Mythology of Plants: Botanical Lore from Ancient Greece and Rome. J. Paul Getty Museum. p. 35–36. ^ a b Pliny the Elder. Natural History Book XV, 35. ^ Pliny the Elder. Natural History Book XV.135. ^ a b Suetonius. Galba Book 7, 1. ^ a b Eugene S. McCartney (1929). "Why Did Tiberius Wear Laurel in the Form of a Crown During Thunder Storms". Classical Philology Vol. 24 No. 2. p. 201. ^ Brendon, Juliet & al. The Moon Year: A Record of Chinese Customs and Festivals, p. 410. Kelly & Walsh, 1927. Reprinted Routledge (Abingdon), 2011. Accessed 13 November 2013. ^ Kilic, Ayben; Hafizoglu, Harzemsah; Kollmannsberger, Hubert; Nitz, Siegfried (2004). "Volatile Constituents and Key Odorants in Leaves, Buds, Flowers, and Fruits of Laurus nobilisL". Journal of Agricultural and Food Chemistry. 52 (6): 1601–6. doi:10.1021/jf0306237. PMID 15030218. ^ Panza, E; Tersigni, M; Iorizzi, M; Zollo, F; De Marino, S; Festa, C; Napolitano, M; Castello, G; et al. (2011). "Lauroside B, a megastigmane glycoside from Laurus nobilis (bay laurel) leaves, induces apoptosis in human melanoma cell lines by inhibiting NF-κB activation". Journal of Natural Products. 74 (2): 228–33. doi:10.1021/np100688g. PMID 21188975. Hogan, C.Michael (2010). "Laurus Nobilis L." Encyclopedia of Life. Retrieved 2010-12-30. This page was last edited on 15 April 2019, at 10:26 (UTC).